Taking legal action against a school should be a last resort. It is an arduous path, you need to be determined, tenacious, and prepared for a long and unpleasant battle. There is no prospect of success unless you have ample evidence of physical or mental harm, backed up with letters to and from the school and comprehensive medical reports. 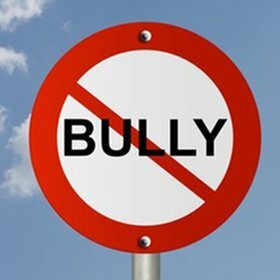 Bullying UK's view is that legal action should be the very last resort and that any parents who think they want to pursue this should see a local solicitor for half an hour of free legal advice to see if there is any point in taking the matter further. Details about legal aid for children are in the Community Legal Service booklet A Step by Step Guide to Legal Aid. However, the 2002 case of two north east teenagers who lost their county court claim over bullying may have affected subsequent decisions on funding in bullying cases. The judge ruled that although both had been bullied, the school had done what it could to resolve the problem. It can be difficult to obtain legal funding and some who have been given it have had it withdrawn part way through the case after being told that, on balance, their claims were not likely to succeed. If you do take legal action, the first step is that the solicitor reviews all your papers and takes counsel's opinion. You then see a barrister which is fairly informal. He tells you whether or not he thinks you have a case, who is liable, the LEA, head teacher, or governors, and then issues a written opinion. This is a fairly intrusive process, and probably very upsetting for a younger child. It isn't very pleasant for the parents either. Your legal team will want a report from an educational psychologist and psychiatrist/ hospital to prove that your child has suffered harm, because if they haven't suffered harm there is no case. The child's medical records will be sent to the psychiatrist if you are alleging mental harm. Armed with this information you return to see the barrister to read through the particulars of the claim to be served at your local county court. This will detail specific bullying instances and specific instances of harm i.e. bruises, post-traumatic stress disorder. When the papers are served at the county court (a writ is only for High Court) it will probably include the medical report. It will fully detail what has happened to the child on various dates. The defence, either the LEA/head/governors will instruct solicitors to act for them. You can expect as many as three extensions of deadline for the defence to be filed. This could take three months. The LEA will want its own psychologist/psychiatrist to see the child and will also want to see the medical and school records. The next step is the exchange of witness statements and the court decides how the case should proceed. There could be a pre-trial review. It may be that, having read all the witness statements, the LEA (or its insurance company), will decide the case is too costly to defend and will make an offer to settle which could be a very small amount. If the case goes to court there is likely to be enormous media interest as these cases are so rare. If the child is a minor the judge could direct that neither he/she nor the school should be identified but so far these cases have not attracted that ruling. Having one's day in court is likely to extend into several stressful and upsetting days in which the child's school life is raked over and they may be accused of bringing the bullying on themselves. They, and their parents, will have to relive the ordeal in public which is why legal action should be avoided unless it is absolutely necessary. For further advice, you can speak to Coram Children's Legal Centre on 0808 802 0008.